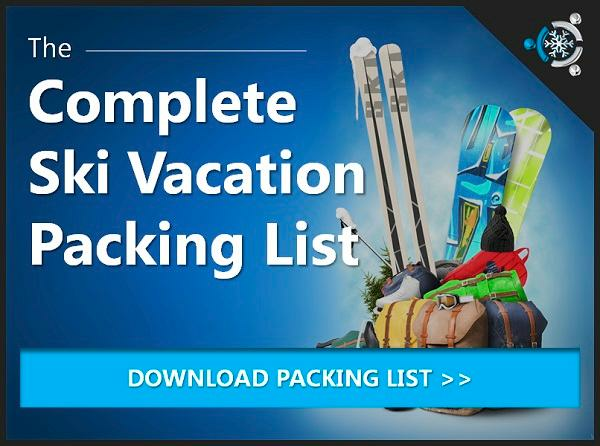 Custom Alyeska ski packages and lodging deals. Seven Glaciers: An upscale, award-winning dining experience at the top of the mountain. Bore Tide Deli: Fast, casual dining with amazing views of surrounding mountains & glaciers. Sakura Restaurant: Top notch sushi, seafood and meats with a great selection of cocktails. Aurora Bar & Grill: A family-friendly restaurant with fantastic seafood & specialty pizzas. Sitzmark Bar & Grill: The ultimate apres ski experience in Alyeska with burgers, sandwiches and local beers. The Alyeska Resort is in the town of Girdwood, part of Anchorage’s municipality. 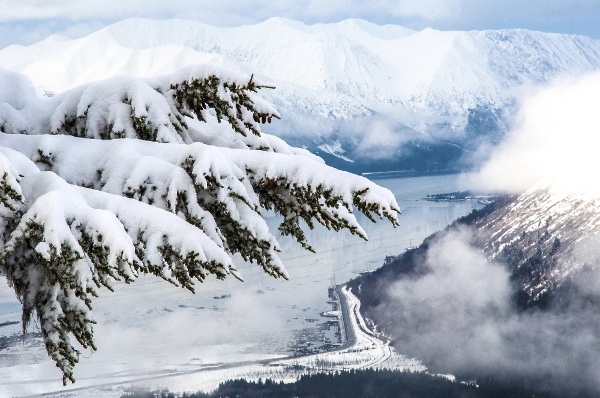 You’ll find Alyeska located along the scenic Sewad Highway nestled against the Chugach Mountains – offering visitors adventures and activities year-round. 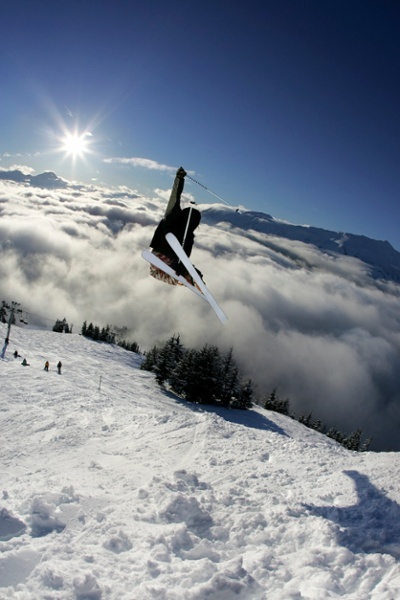 Alyeska is the premier destination in the 49th state for visitors and the locals. In 1954, 11 Girdwood residents raised enough money to purchase what became the land base for a major ski area. Through hard work and perseverance, they developed a ski area that was small in assets but big in promise. Francois de Gunzburg, a French Baron, shared their dream. He installed a Poma chairlift, built ski trails and a day lodge. And, he ordered Chair 1, a 5,700-foot double chairlift that rose 2,000 vertical feet. 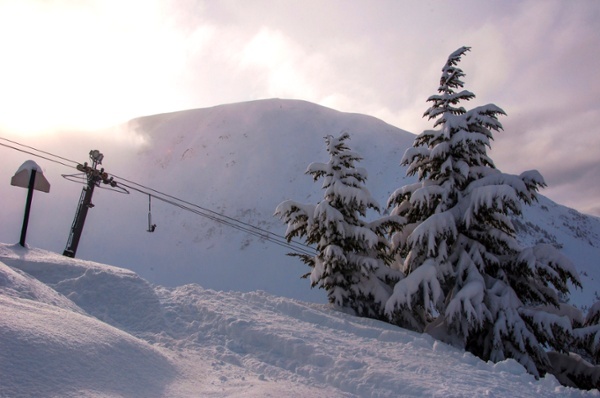 Today, more than 60 years later, Alyeska Resort is an established ski destination known for its steep terrain and deep snowpack making Alyeska a skier’s paradise - with no crowds! Around the Resort, visitors may choose from hand- tossed pizzas to fresh sushi and Asian inspired entrees. Indulge your taste buds at the award winning Seven Glaciers Restaurant, located at 2,300 ft and accessed by a complimentary scenic tram ride. Discover Alaskan seafood specialties and savor premium meats from Snake River Farms. The wine list is a treat in itself. Watch out, though! The panoramic views will try to steal the show! New high-speed quad chairlift, expanded beginner terrain area and quality instruction at the Mountain Learning Center are all part of the resort’s recent mountain improvements. 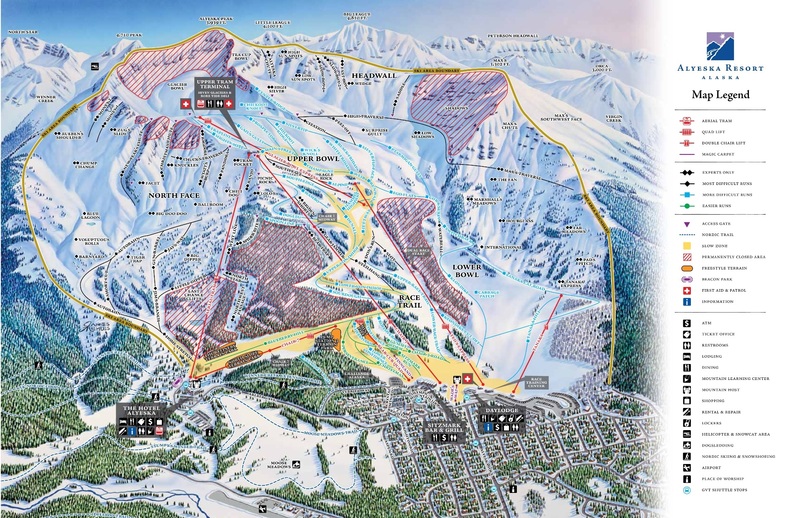 Avid skiers and riders will enjoy the challenges of the North Face, home of the longest double black diamond run in North America. An average 650” of annual snowfall and ample daylight in the spring should put Alyeska Resort on everyone’s dream list. Don’t forget you are minutes away from Alaska’s wilderness. As Alyeska Resort is surrounded by the Chugach Muntains, access is easy. Your doorstep is within close proximity to numerous National Parks, including Denali - home of the highest peak in North America!